Thanks Mike. It measures approximately 15x16 but has had the top and bottom border cut off that contained telethon info. I have only seen one other, which was complete and auctioned 10+ years ago. That’s how I found out it’s origin. I do live on the east coast and I think It definitely helped finding items 10-15 years ago at small shows and also bigger shows such as the old Ft. Washington show (now the Philly show). But shows have gone the way of the dinosaur, even the Philly show, to me, is a shell of it’s former self. One of the few pieces of original artwork that I have. So..... there were actually 2 performances of this show - 1 at 7PM and 1 at 9:30. Both REALLY tough tickets to find today. Also a program and record album from the show - for another day. 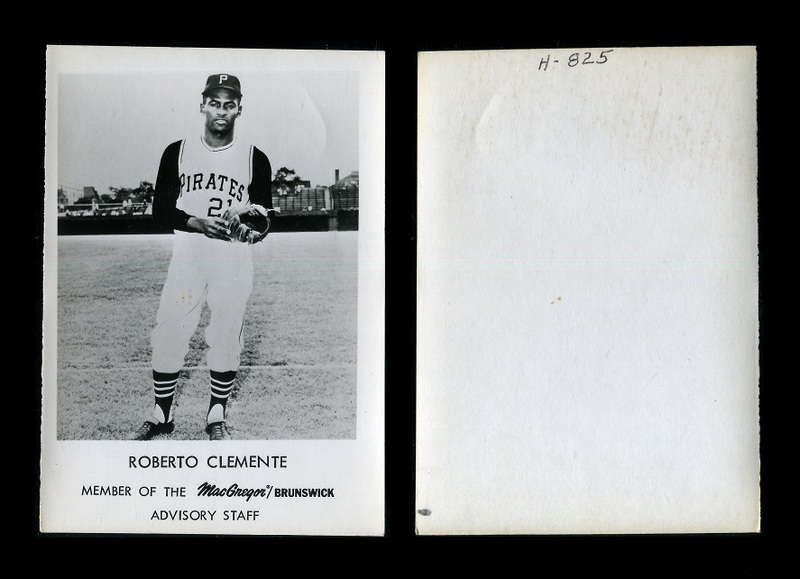 Here are a couple of other odd tough tickers picturing or related to Clemente. Great stuff Howard! Love the tickets and also the 54 schedule. Very nice. As Howard mentioned, this is the program to go along with the ticket I posted yesterday. 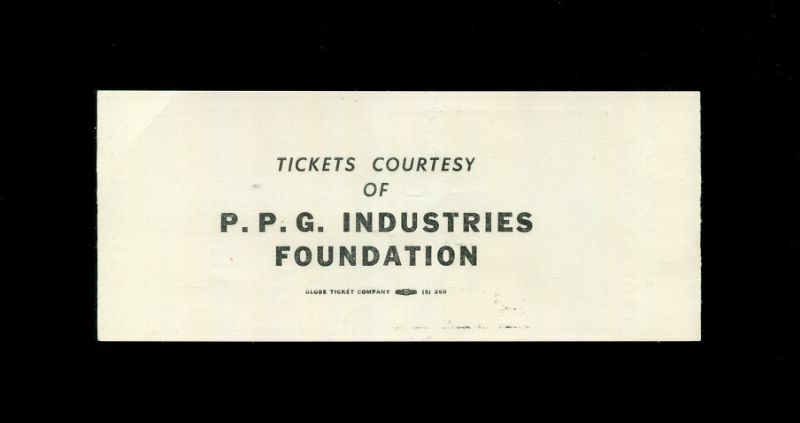 It seems as though I've seen fewer of these programs than the actual tickets themselves. I don't remember ever seeing the record that Howard mentioned. Anyone ever see this one? Firstly -is there someone willing to resize some images?? I don't know how to easily do this with images taken from a good digital camera to upload to this site. Second - Enjoy this one. 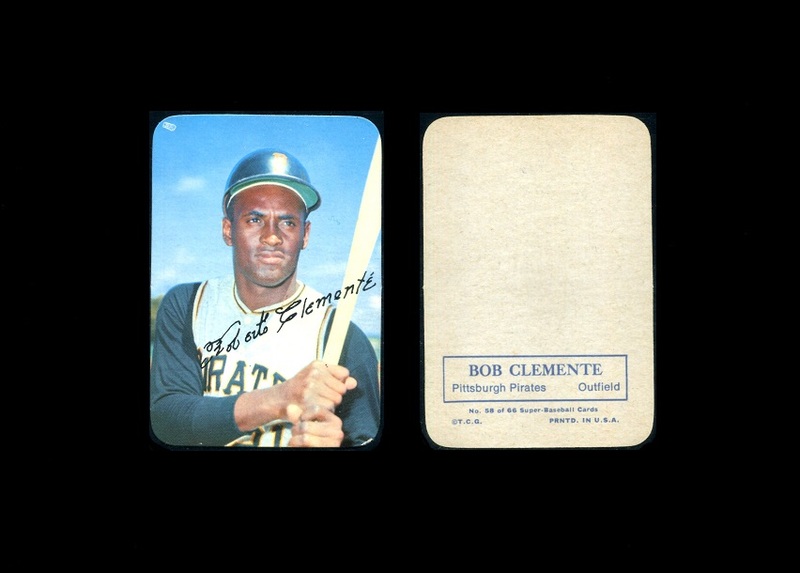 A Clemente Mass card. 1 of 2 that I have ever seen. Last edited by hcv123; 01-28-2018 at 09:56 PM. Here's one for you Mark! Picked up the single first and then was able to purchase the whole 3rd series on card (39 cents!). Thanks so much for sharing this piece. While I have the Brooks individual marble I don’t have the complete package. I saw the Series 3 package some years ago, but it didn’t have the marbles attached so I passed. Maybe someday I’ll get a complete package. Yours looks to be in great shape; love it! If I see one come up for sale, I'll let you know. Enjoy seeing the Advisory photos. 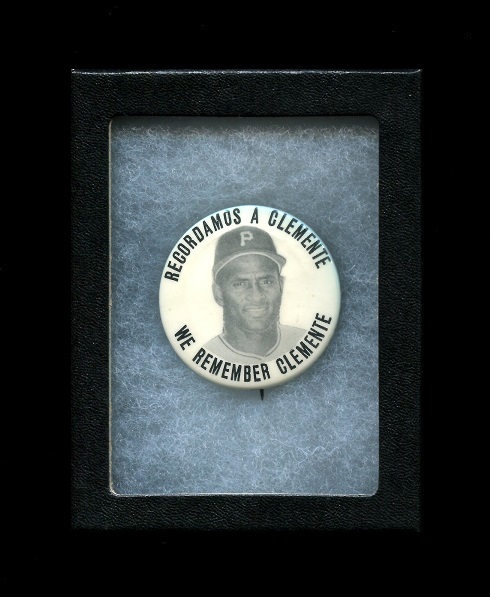 How many different years/varieties does Clemente have? 1965 Macgregor and at least 2 different early 70's Rawlings. The Rawlings are much larger - 8x10 or 8 1/2 x 11. What size is the MacGregor pictured? Also, do you happen to know why he switched manufacturers of gloves? I guess I’ll have to wait and see on the other Rawlings pieces; don’t recall seeing the two other Rawlings Advisory photos before. 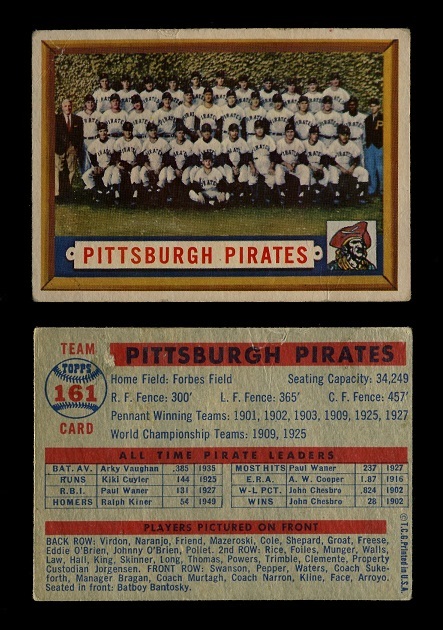 The 1965 Macgregor is about 3 1/2 x 5 1/8. I am not sure if the players needed to exclusively use the model of gloves or if it was just a paid endorsement - perhaps someone else can weigh in on that. I know I saw one of the Rawlings among my collection recently, not sure where the other one is. If I remember correctly one of the Rawlings is color and the other B & W. The Rawlings are MUCH more elusive than the Macgregor. Ps. 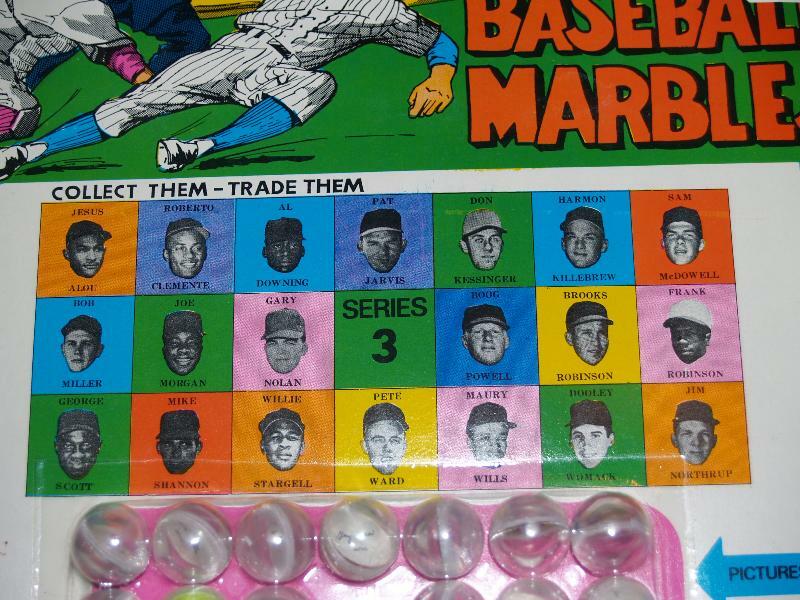 I May have a 1968 unopened pack of marbles to sell - I will try to take a look over the next couple of weeks and PM you if I find it. Not rare, but seldom seen (at least on eBay). Thanks for the information on the Advisory photos. 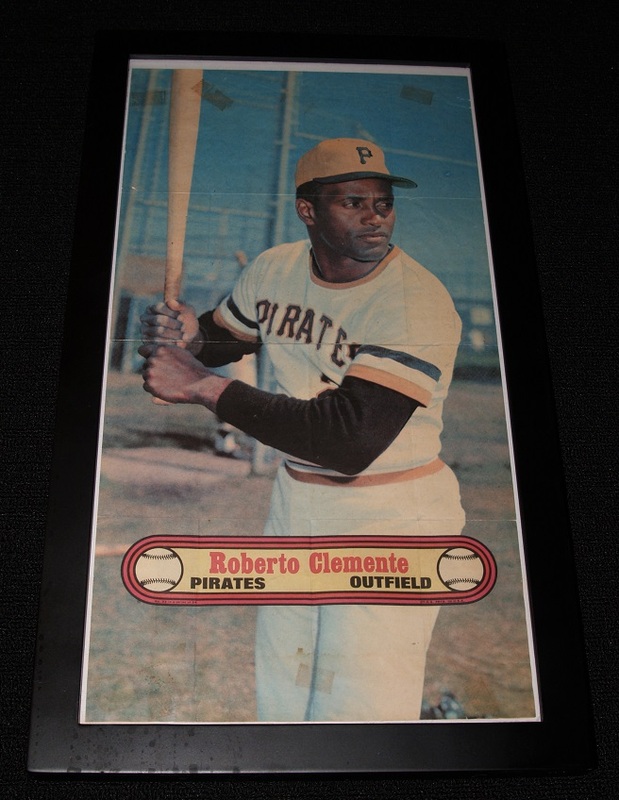 I’ve seen pictures of the ‘65 MacGregor Clemente before and always just thought it was the same size as the Rawlings examples. 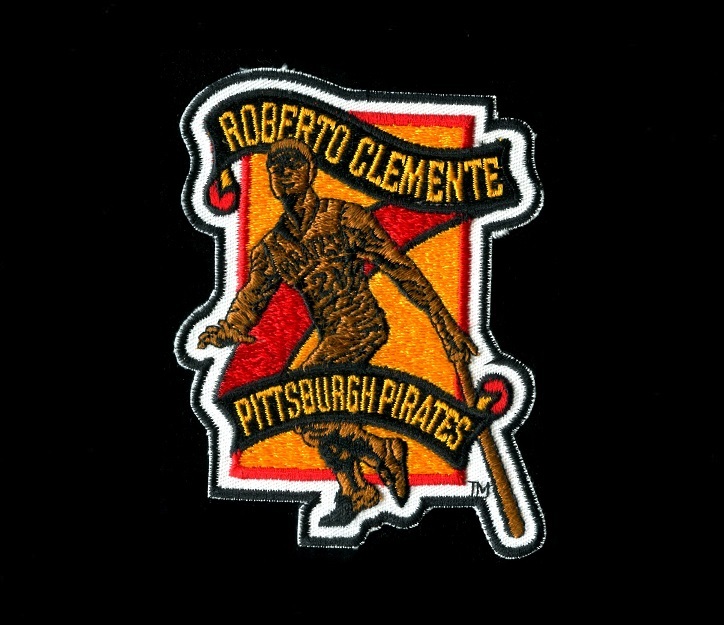 Always liked the Rawlings issues so would like to view the Clemente’s sometime this year in the thread. 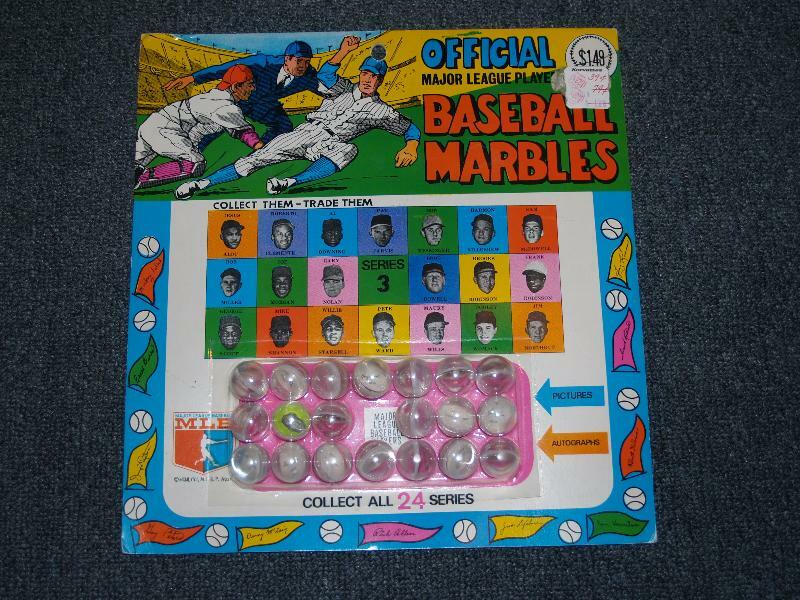 Appreciate the thought on the marbles package. If you happen to have an extra I’d love to pick up a Series 3 marble package from you. Last edited by Mark70Z; 01-31-2018 at 11:05 AM. The ‘69 Super is very cool! Mark, I don’t mind you mentioning Brooks at all. It’s actually pretty cool to see a Brooks collector appreciate a Roberto thread. 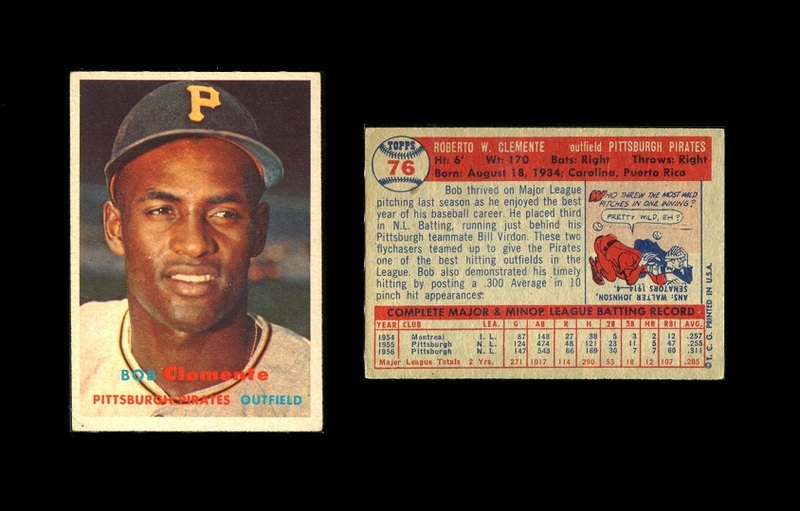 When I was in my early stages of collecting, and price guides were first starting to come out, I was on a mission to find a 1967 Topps Robinson. 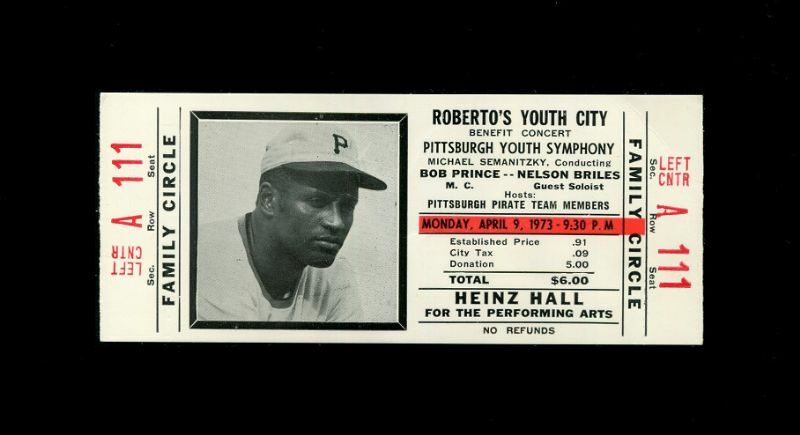 It was priced pretty high back then. I found one at one of the first shows I went to and spent my hard earned cash. It’s not high grade, but I still have it and probably always will. Such a cool magazine. I know the foreign mags are hard to come by. Is there a checklist of Clemente magazines (covers) including the foreign versions? If there is, how many issues are you short? Also, do you collect mags with his name on the cover or ones with just an article related to Roberto? Love the 69 Supers. Nice card man. 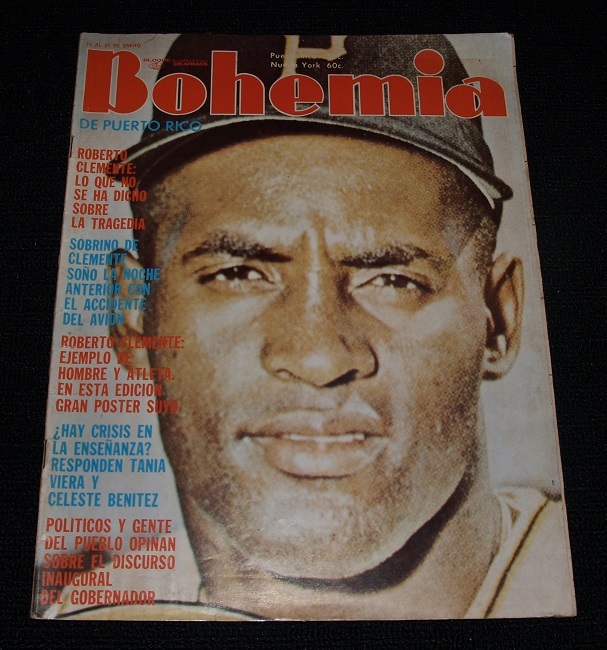 I have no idea how many foreign issued magazines there are with Clemente on the cover. I think this is the only one I have. I lost out on a different magazine which was being auctioned at the same time as the one I posted. I liked the one I lost out on better because it had a great cover of Roberto, but I am happy with this one. Thanks for the compliment. 69 Supers are a great set. I've put together complete/near sets of most Topps inserts/specialty cards (other than the rare test issues), but never made an attempt with the 69 Supers. Not sure why. 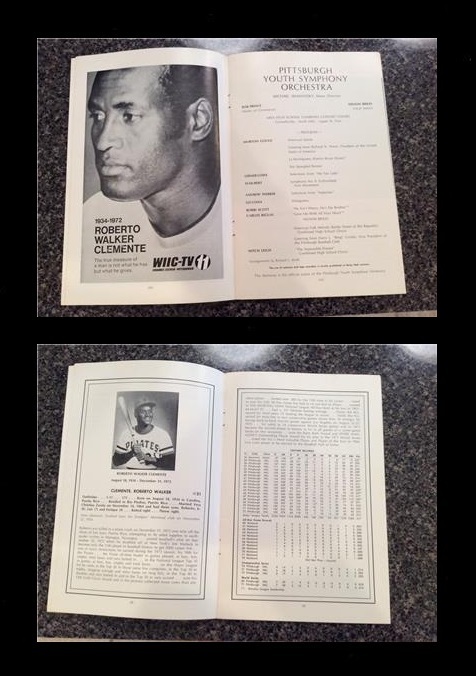 I know of close to 20 different foreign publications with Clemente on the cover. I am sure there are more. 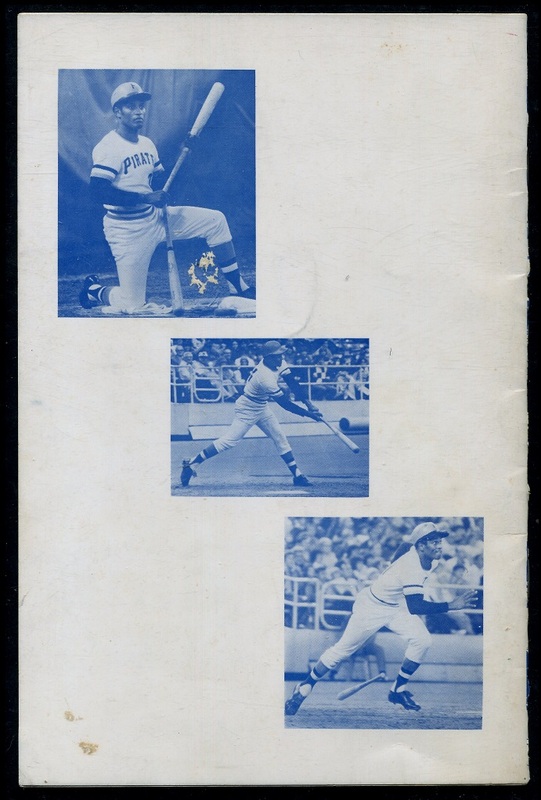 Of the ones I have pictured (I have a database of images of many things Clemente - not all of which I own) I own the 2 Temas issues. The black cover Temas is the one I lost out on. Did you win it recently? No. That was given to me by a friend years ago. The Temas mags are kinda cool because they are large format (smaller than, but similar to "Life" magazine). 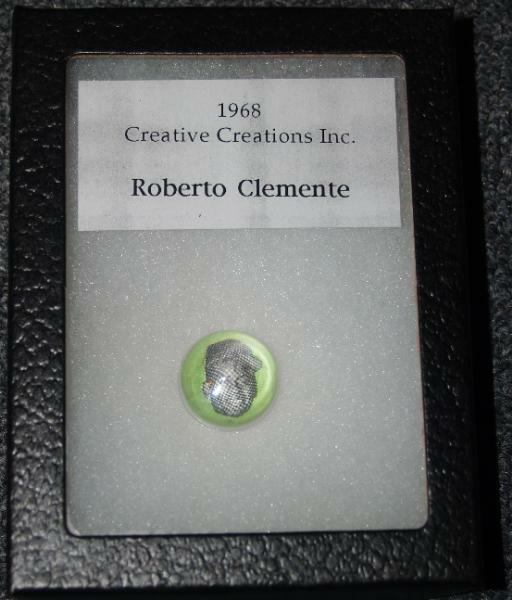 Memorial pin issued in 1973 after Roberto’s death. Not sure if it’s considered a PM10, but I have seen it listed that way. They pop up on eBay from time to time, but I haven’t seen one in a little while. So neat seeing all of those foreign magazines. 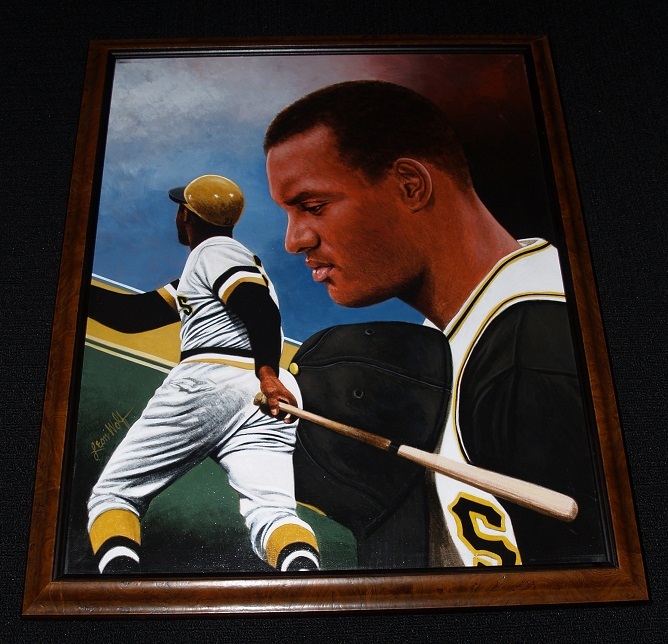 My favorite has to be the Temas with the black background and Clemente wearing the red, white and blue glove. While all of them are cool that one stands out as the most visually appealing at least to me. 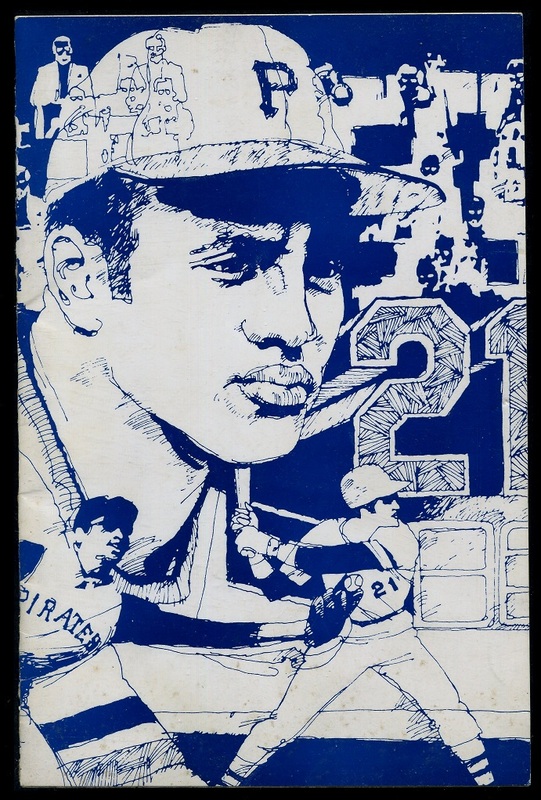 Enjoyed seeing Clemente styling on the cover of the other Temas magazine. I wonder if the flying nun collars will make a comeback. That memorial pin is a nice one! Does he have a different uniform # on that Temas? Good eye Jason, I didn’t notice that. Purchased at the Philly Show back when it was held in Ft. Washington. Thought it was well made and would be nice for display. Measures approximately 21 x 34. I'll take these over any $5,000 Nike Jordan's. Nice Rennie! About 10-12 years ago I passed on a pair of shoes and box priced at around $400. Guess I should have pulled the trigger, tough (and expensive) to find nowadays. Time for that 1962 Jello! 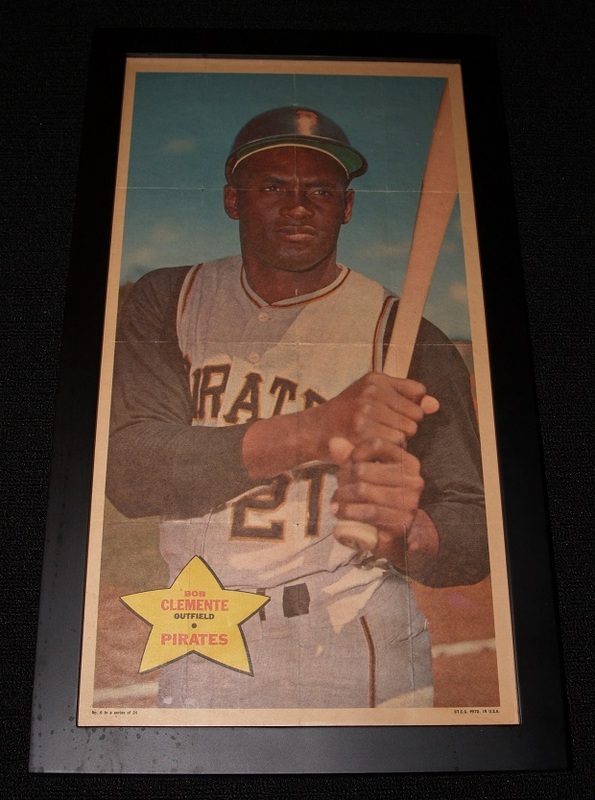 Wish I could find that 62 Jell-O Clemente. I've been on the heels of those at least 3 times, but never had them. Sneakers are tough - box is tougher! Nice one! Nice photo! Was that from Hunt's auction? 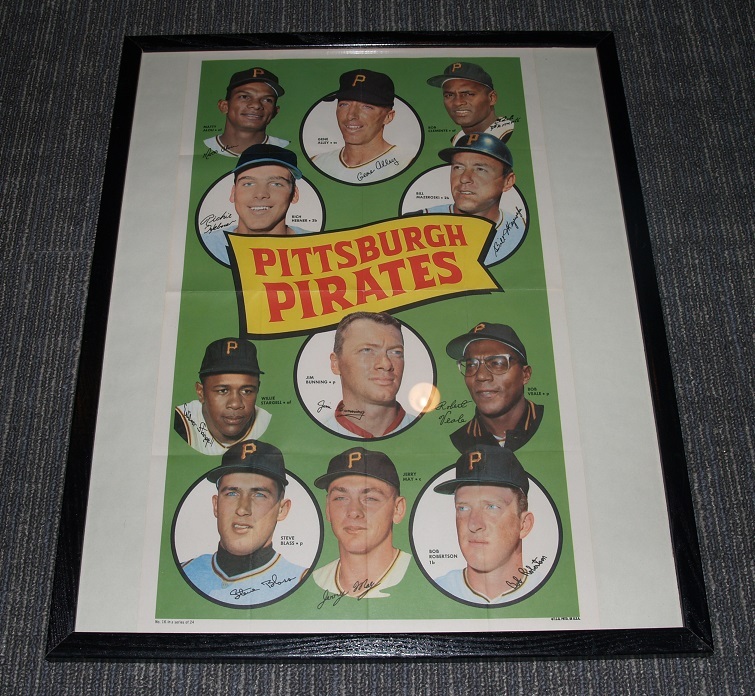 1972 Topps Poster...probably a candidate for an upgrade at some point. Which poster do you like better the ‘68 or ‘72? I like them both, but probably the 1972 better. Up next is a snapshot photo of Roberto and possibly teammates/other MLB players attending what appears to be a little league game (based on the player at the far end of the bench). 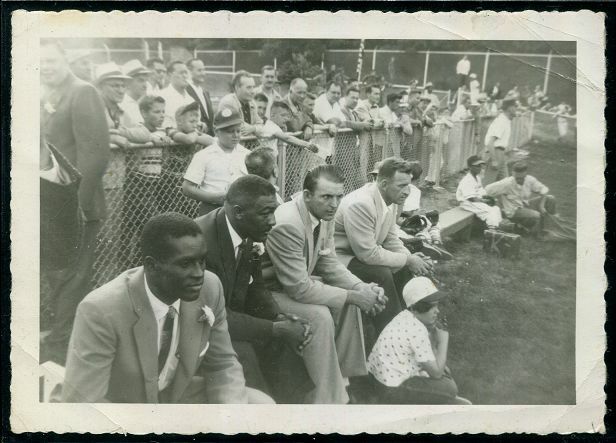 I have made a small attempt to identify the gentlemen sitting next to Clemente, but have met little success. If anyone has any ideas as to who they may be, please feel free to post. What I love about the photo is how close the general public is to Roberto and others and how they genuinely seem more interested in the game than being in the presence of MLBers. Not sure on the date this photo was taken but I'm guessing. No idea who else is there either, but love the photo! 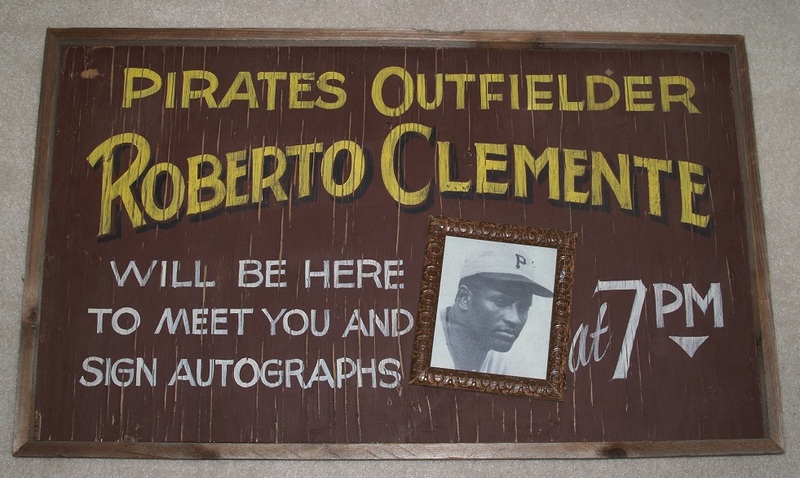 In the past I would buy anything that had to do with Roberto, but currently I try to focus on purchases from Roberto's actual playing days. I do still acquire newer items, but on a more limited basis. Two newer items that I still like to purchase, if they appeal to me, are patches and pinbacks. 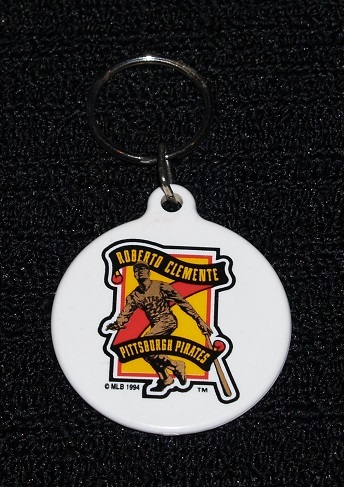 This next item, I was told, was produced in very limited quantities (I believe I was told less than 50). I have not seen one show up for sale in a long time, so I think that number might be accurate.